Old school sad country right here. 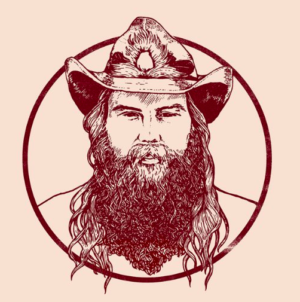 Chris Stapleton kind of came out of nowhere didn’t he? Well, from the perspective of mainstream fans he did. I can’t really think of another situation like it. Where an artist pretty much breaks into the mainstream thanks to winning on award shows. I think that year Chris was winning all the awards people were wondering who this guy was. Then we all heard his music and his first album is still selling. I love his stuff. We could use a few more old school sad country songs. And he’s definitely bringing it with this promotional single from his upcoming new release. I know that people out there love sad country songs. I have a list of them from several years ago and it continues to be the most popular thing ever on this blog. There is something about sad songs that help us out when we’re feeling sad. There’s a place even in today’s country for that kind of song. But you can still make sad songs with modern stylings. But Chris took this one way back in the style side of things. This one sounds like it’s bleeding out of an old jukebox in some bar in 1974. The song seems to be about a guy that’s having a really, really bad day. Past due bills. Spilled coffee. Probably lost his job. But to top it all off his woman has left him.